Send a dazzling tower of sweets, perfect for any special occasion. 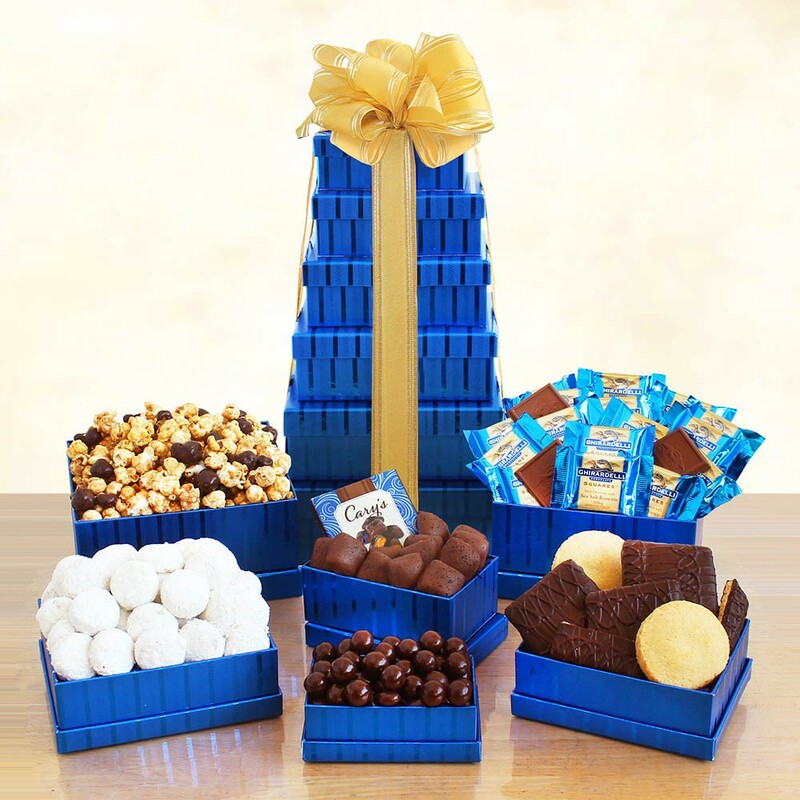 This vibrant tower is filled with decadent kosher goodies, featuring everything from chocolate-covered graham crackers to almond tea cookies. This elegant display is the perfect indulgence.